Have you been thinking of cleaning the house or repainting the walls? What about the switch plates? 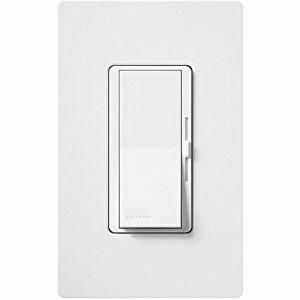 Clean light switches hardly become our concern unless they are in highly visible spots on the walls. But, you should scrub them at least once in a year. The cleaning frequency should be higher when they are in the kitchen or bathrooms because these places trap dirt like crazy. 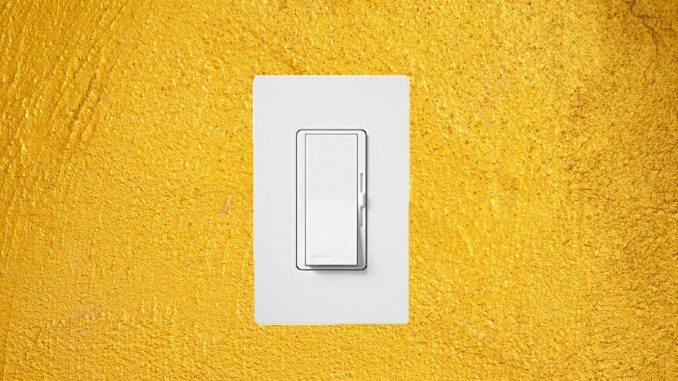 Why Should You Clean Light Switches and Electrical Outlet Covers? Staying protected from germs. You should clean light switches because they are the breeding grounds for germs. Your family members and sometimes outsiders touch them for multiple times a day. Even if you live alone, you are carrying the germs from one place to another. For aesthetic purpose. Most of these switch plates are plastic and come in either white or off-white color. Leaving them uncleaned for a long time lets the dust to set in and change the coloring for good. Also, the accumulated dirt can get inside and damage the internal circuit. Avoiding accidents related to electricity. Thick layers of dirt conceal the cracks in plates. The cracked plates also turn into a dust trap and create potential fire hazards as small lint and hair balls act as kindling. Slits or gaps more than 4.5mm of diameter increase the chance of short circuits. The worst case scenario could be an explosion! To keep the switches operational. Another reason why you should clean light switches is to avoid clogged outlets. Too much filth and household detritus gathered on a switch plate can make it dysfunctional. It is a potential fire hazard too if the plates are close to a bunch of live electrical wires. What do we do when cleaning something such as the everyday household items? We wash them with soapy water, wipe with a damp cloth, or scrub with a sponge. These are not the cleaning processes to follow for light switches and covers because mixing water with electricity is a recipe for disaster. However, a little elbow grease and the following steps will make the light switches shining. Turn the power off at your home’s main electrical panel. Some people don’t switch off the power, which is a bad practice, because a nasty shock could welcome you if the wire connections inside the outlets are loose. When there is no electricity, remove the outlet covers by using a flat-head screwdriver. If they don’t fall off easily from the wall, give them gentle probes around the sides with the screwdriver. Sometimes, they don’t come off because of the wall painting around the edges. Use a razor blade to peel the paint off. Give mild presses with the blade around the plate’s perimeter, and then lift the cover with something sharp like a knife or scissors. The screws are small and can easily roll down under the carpet or the wardrobe. Use a cup or jar to hold them so that there is no looking around when it’s time to refasten. Soak in soapy water and wipe. Fill the kitchen sink, basin, or a large bowl with lukewarm water and pour a few drops of liquid dishwashing soap into it. Immerse the switch plates and covers and leave them there for an hour or so. Remove them from the water and start wiping gently with a dishcloth or sponge. It will clean off everything including smudges, fingerprints, and soiled spots (if there is any). Use an old toothbrush to rub off the stubborn stains. It’s not rare to find splotches of paint on the covers. The soaking will soften them, making it easier to scrape off with the fingernail. If they are unyielding, a putty knife or razor blade could do the trick. Be careful, though, because applying extra pressure could break the plates. If the switch plates are too dirty or have thick soot layers, wipe them with a dry, clean piece of cloth before soaking into the water. If the light switches are comparatively new and there’s not a long break between the cleaning cycles, you can use some disinfecting spray cleaner instead. A homemade vinegar solution (eight ounces of white vinegar, four ounces of hydrogen peroxide, and four ounces of rubbing alcohol) will also work fine. It will be less of a chore than washing with soapy water. Spray the cleaner or vinegar solution on a piece of microfiber or paper towel and rub the plate with it. It will remove the sticky patches and gummy fingerprints. Use a cotton swab for the tough-to-reach cracks and crevices. This method is a useful solution if you don’t want to remove the covers from the wall. Remember that you have to use clean towels to get the best results. Use a new one for every switch plate. The light switches have wires and metal parts behind the cover. These parts could collect cobwebs, soot, and dust in case of a long interval between the cleaning schedules. Take a soft, dry brush to remove these dirt particles. Be very careful because loose or damaged wire connections can cause accidents. After the cleaning job, put the covers back on the wall. Make sure that they are completely dry because moisture or a single drop of water could turn into an electric hazard. Use a kitchen towel or blotting paper to make sure that there is no liquid. Screw the plates back and switch the power on to the electrical panel to bring back the electricity supply. How to Clean Brass Switch Plates? The modern light switches are plastic or acrylic but there could be brass plates too if you are living in an old house. These plates were highly popular during the late 1980s and early 1990s. You cannot wipe these switches the way you did the plastic units. Remove the covers the same way with a screwdriver and place the plates on a paper or microfiber towel. Sprinkle some table salt on them, cut a slice from a lemon and rub it over the salt. It will remove the stains and make the plates like new without tarnishing or damaging the surface. Wipe the salt away by using a soft cloth. Use another fresh piece of cloth or a towel to polish them and make the surface shiny. The cleaning process could be dangerous if you don’t follow the safety standards. It is the standard procedure to follow before doing any type of work that involves electricity. Doing so will save you from electric shocks and electrocution. Use a circuit tester, which is a guaranteed fail-safe tool to ensure that the circuit does not have any electrical current flowing. Don’t skip this step in any way. Avoid direct spraying of the cleaner. You should be careful with liquid around electrical outlets and switches. Spraying the cleaner directly on the plates is a major safety risk. The cleaner could leak inside and create an electrocution hazard. The outlet could explode too after switching the electricity on. Make sure the switches are dry after cleaning. Water is an electrical conductor. So, even a damp light switch could conduct electricity and give you electrical shocks. Wipe them with kitchen towels or a soft cloth and wait a few hours before attaching them back. You should replace all the defective switches because they are a potential safety risk. Throw them away if you spot any melted metal on the screw terminals or scorch marks. Replace the cracked outlets too unless it is just a chink. Beware of the buzzing sound. Pay immediate attention if you hear a crackling noise after re-attaching the switches. It could happen due to loose screw terminals, which attach the circuit wire to the body of the switch. If the connections seem secure or the buzzing sound continues after tightening the terminals, call a professional technician. An audible buzz in a light switch means arcing of the current between the metal wire contacts. It means electricity jumps the gap between the terminals instead of taking the metal pathways. It may lead to overheating of the wires and burnt contacts – the problems that can cause a fire. It’s not hard to clean light switches and electrical outlets. Find some extra time, collect the right tools, and follow the correct procedures, and you will survive this cleaning project without a scratch. Just remember that electricity is dangerous and there is no point in taking any risk. If you get a burning smell, hear a popping or sizzling sounds, or see burnt spots, call an electrician and be safe. What are the Functions of Generators?